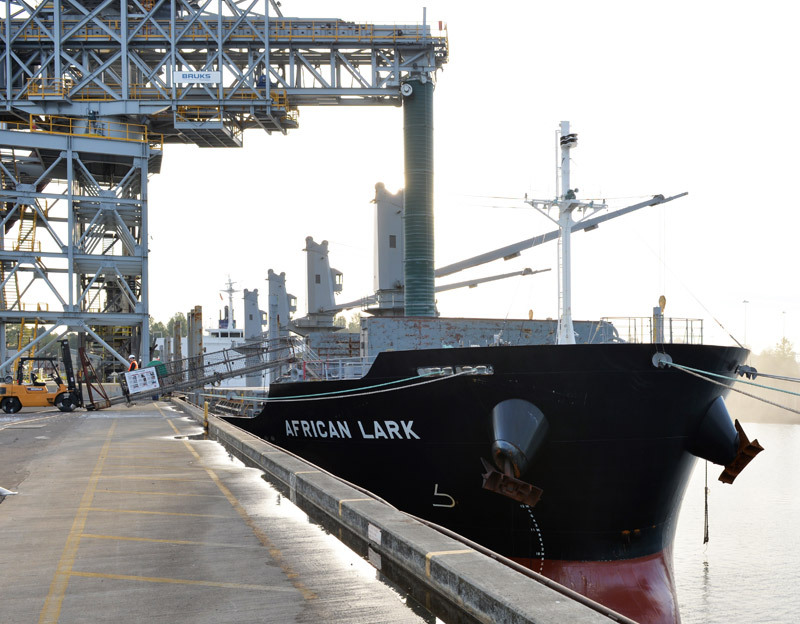 Terminal 4 is a multipurpose, 262-acre facility that features four ship berths capable of handling a variety of cargoes including autos and dry bulks. Operations at the terminal directly provide more than 750 jobs, and firms working at the terminal and related truck and rail companies earn more than $232 million. Tenants at Terminal 4 include Toyota, Kinder Morgan and International Raw Materials. Watch this video to learn more about Terminal 4. 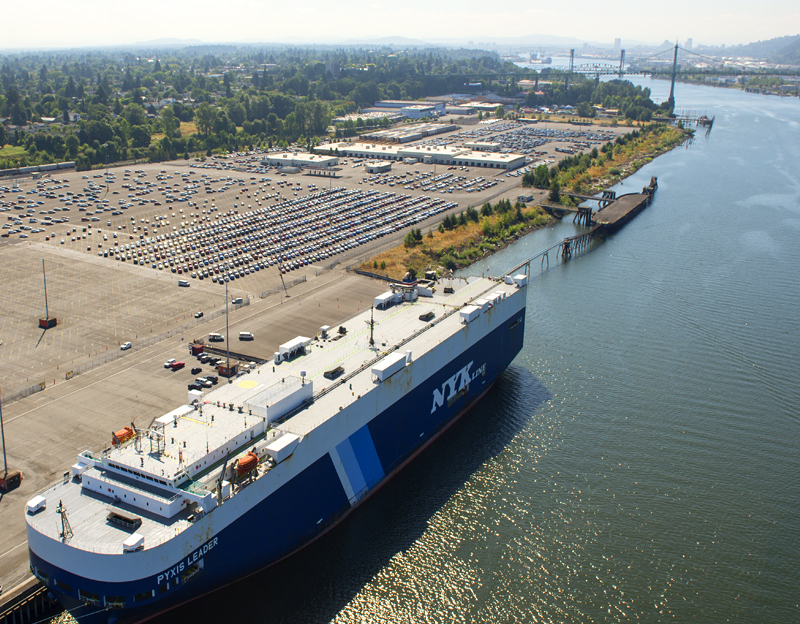 Vehicle distribution center leased and operated by Toyota Logistic Services, Inc.
Nearly seven million short tons of mineral bulks moved through Portland in 2017. 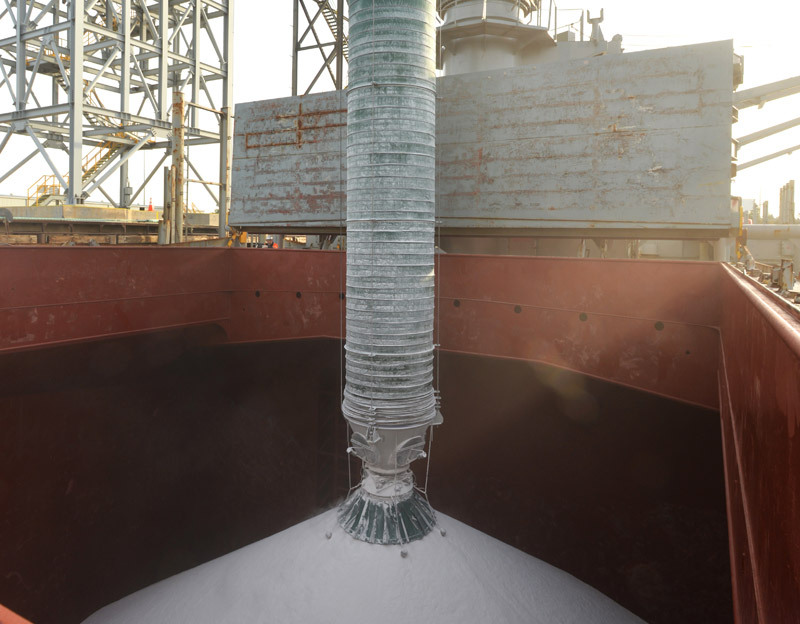 At the Kinder Morgan facility, soda ash, used primarily in glass manufacturing, is an example of a product that moves from rail to ship across our docks. Since 1971, Toyota has been a fixture at Terminal 4, handling more than 10,000 vehicles per month. Dockworkers and others in the auto supply chain process the imports in Portland before they are sent to dealerships across the country. Portland’s reputation as a top auto gateway continues to grow – for a second year, we were the No. 1 exporter of American made cars on the U.S. West Coast.